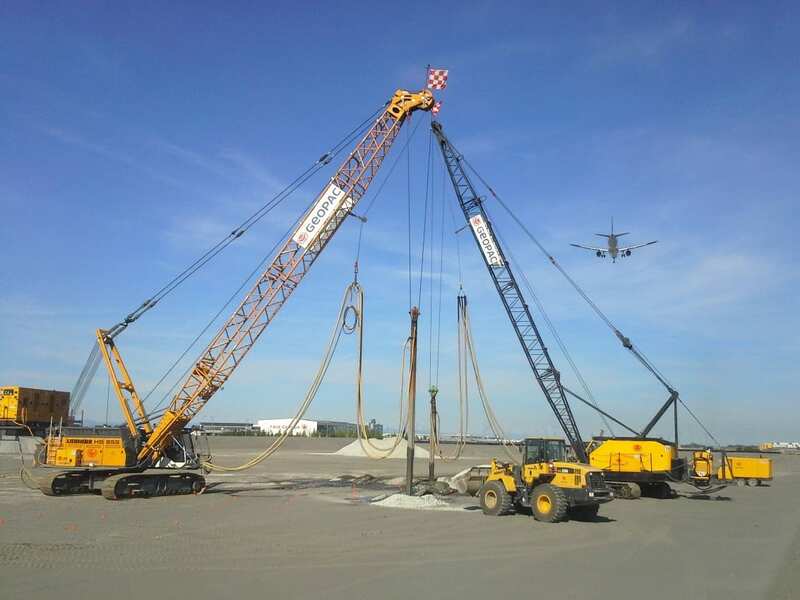 Vancouver Airport Project Management, YVR and their British joint venture partner McArtherGlen, is constructing a retail Designer Outlet Centre development adjacent to the Vancouver Airport Templeton Station. Construction will be carried out in three successive phases with a phase 3 scheduled completion date of 2016 / 2017. To reduce post-seismic displacements, ground improvement of soil layers susceptible to liquefaction was required to a depth of 10m. The stone column work was carried out following the preload, which left the site with a ± 2m thick sand platform. Taking advantage of the relatively low ground water level and the relatively shallow treatment depth of 10m, Menard Canada developed modified wet top-feed installation methods which effectively eliminated spoil generation in a soil profile consisting of silt and silty sand strata. This not only reduced the risk of Vibro return sediment migrating to the adjacent Fraser River, but also provided the client with significant cost savings related to spoil handling and disposal for the 61,700m2 site. The site was located at the East end of the airport’s primary runway and directly in the flight path of landing aircraft. 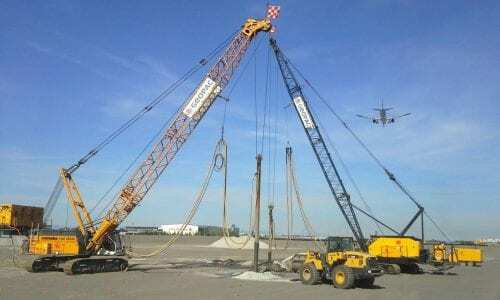 Menard Canada had to work within strict boom height allowances and follow strict NOTAM (Notice to Airmen) requirements. 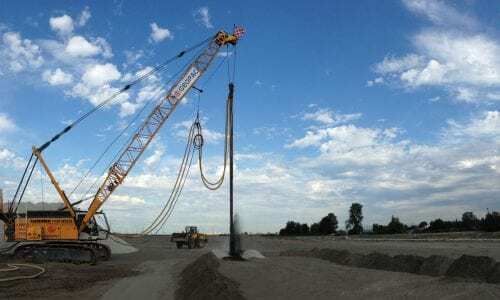 The work was completed two weeks ahead of schedule utilizing two Vibro rigs.